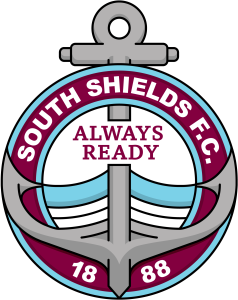 South Shields Academy kept up their hopes of winning Group C of the ECFA Premier League with a 3-1 win at Queen Ethelburga’s College on Thursday. The victory set up a title showdown with Tyne Metropolitan College on Monday, with the winners set to be crowned league champions. Should it end in a draw, Monkseaton High School will win the league. Shields were made to wait for their latest victory, away to bottom-placed Queen Ethelburga’s. Goals from Will McCamley, Michael Colquhoun and Olly Scott ultimately got them over the line as Graham Fenton and Lee Picton’s side earned maximum points. Fenton was not overly impressed with the performance, but was delighted to stay in contention for the title. He said: “It was a positive result for us after a fairly disappointing performance. “We were up against a hard-working, spirited Queen Ethelburga’s side who caused us some problems on the day. Fenton reserved particular praise for centre-back Adam Onarbay and goalkeeper Aaron Steavens, who was making his third appearance for the academy. He added: “Adam had another good game in the centre of defence and we’ve been very impressed with him lately. “Aaron performed particularly well in goal and is doing really well. “He has played three times for us now and has acquitted himself well in each performance. “We’re delighted with how he has settled in and with the way he has mixed with the group. The kick-off time of Monday’s title showdown, which will be played at North Shields FC’s Daren Persson Stadium, is to be confirmed. SSFC Academy team to play Queen Ethelburga’s College: Steavens, Biwer, Lockey, Black, Onarbay, Errington, McCamley, Elcoate, Colquhoun, Scott, Judson. Subs: Patterson, Morris, Carney, Dunn, Ames.